Leave a few pins standing? Pull out your Zombie Spare. Unlike the human undead this Zombie is easy to control. With trance like motion the Zombie heads straight towards any uncooperative pins and puts them down for good and when it's done it comes right back to you. 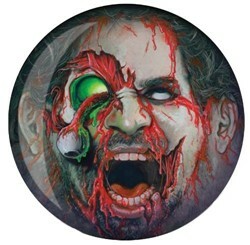 How many other Zombies do you know that will do that? I upgraded from a T-Zone to the DV8 Zombie Spare. Very predictable across different oil patterns. Looks great going down the lane too. Hello! This ball is a spare ball so it will bowl straight. Can this ball be sent to me w/ no drill holes? All of the balls we sell come undrilled, unless you purchase drilling. Thanks. Yes, if you order a 16lb ball it will be 16lbs. Can the holes be drilled anywhere on ball? Yes, they can be drilled anywhere on this ball. The picture will be on the surface of the ball. 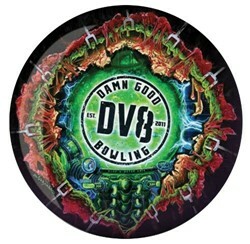 Due to the time it takes to produce the DV8 Zombie Spare Viz-A-Ball ball it will ship in immediately. We cannot ship this ball outside the United States.